There I was eating my packed lunch overlooking 5,000 years of history on the Orkney mainland when, out of the corner of my eye, I spied a golden eagle haughtily looking down on us from its eyrie eyeing up my cheese and tomato sandwich. But before I had to defend my lunch from winged predators, I was whisked away to head back to the ship via some of Scotland’s finest vistas. A keen walker and birdwatcher, it was with some degree of excitement that I joined Fred. Olsen’s Boudicca for a nine-day ‘Cruise and Walk’ holiday around Scotland and Ireland with Ramblers Walking Holidays. I’m a small-ship cruiser – anything over 1,000 people on board I steer well clear of – not only due to their smaller crowds but because these smaller ships can access ports and communities the bigger ones simply cannot. Boudicca, then, with her 880 passengers was the perfect fit. It all began with an early start to watch her dock at Invergordon, a small port above the Cromarty Firth, then after collecting our packed lunch we climbed up Cnoc Fyrish, a steep hike, but one which treated us to some stunning views of the Forth and the mountains to the north (some still snow-capped). It was then I discovered the beauty of ‘Cruise and Walk’ – you don’t have to stay with the group. For fear of coming across anti-social, let me explain, on our way back to the ship we noticed Invergordon has a celebrated trail of eleven large murals depicting life in the town past and present which some of us wanted to explore. 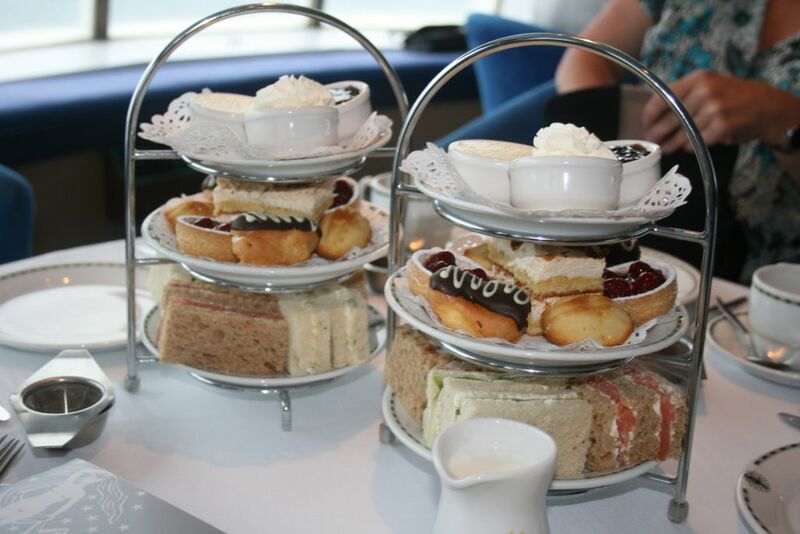 The rest of the group, however, decided to venture back to the Bookmark café in the ship’s library which sells handmade chocolates and specialist coffees, such as mint and Amaretto. We had burnt off all those calories, after all. This freedom to explore on your own terms was one of the best parts of the experience. 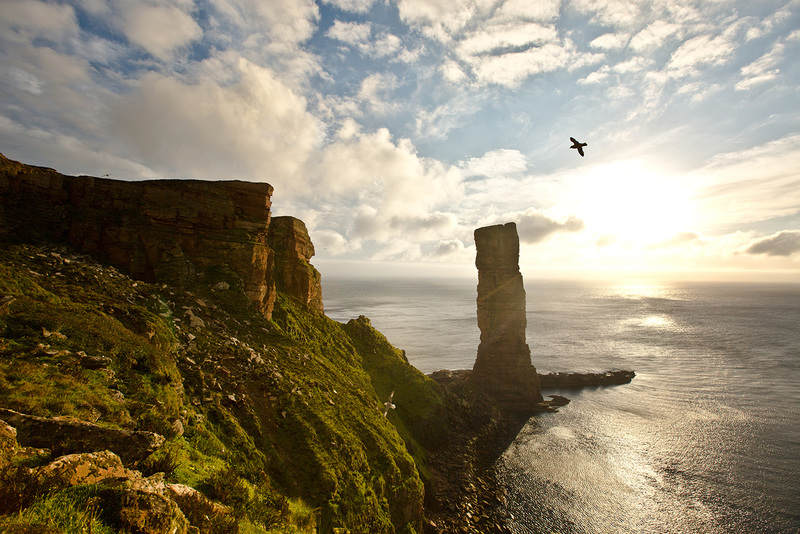 Our next two days saw us discover the delights of mainland Shetland and Orkney – both of these islands produce stunning clifftop walks steeped in history and amazing seabird colonies, including puffins and great skuas. In Shetland, we walked across an isthmus (a narrow strip of land) with the blue waters of the Atlantic lapping either side, while on Orkney the six-mile walk finished at the unique site of Skara Brae. The best-preserved Neolithic settlement in Western Europe, Skara Brae was a thriving village long before Stonehenge or the pyramids were built. Our arrival in Stornoway on the Isle of Lewis brought with it tall mountains and extensive peat bogs. Perhaps it was the comedian who entertained us the night before, but everyone seemed in good spirits as walked along the shoreline opposite the rugged hills of the Uig peninsula. The balmy weather and white sand beaches was enough to make me think we’d taken a wrong turn and ended up in the Caribbean. The talk at the dinner table that night was of the eagles we had seen, the quirky Highland Cattle doorstoppers on sale in the town, the intricate carved stones of Callanish and who actually won the deck quoits competition (it got quite heated). We all agreed, however, that we were really looking forward to our next port of call at Tobermory. 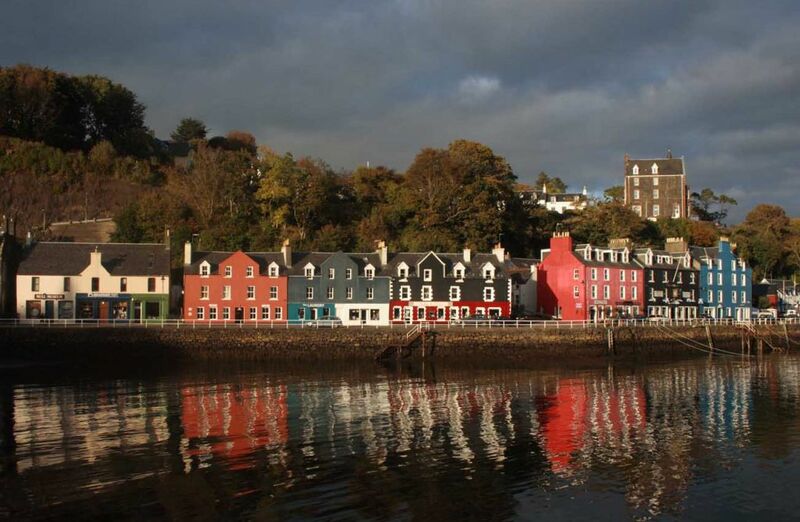 A visit to the pretty town of Tobermory is one you won’t soon forget. It’s quirky houses all painted in bright colours give it a rainbow-like appearance – perfect for snapping a few pictures! Our walk along the undulating paths of a demolished stately home led to us discovering waterfalls, bubbling streams with dippers feeding their young, placid lakes and amazing sculptured viewpoints of the village. When the walk returns us to the village the delights of sea food, local whisky and craft shops beckoned. The next morning saw us in Dublin at the Howth Peninsula to the north of Dublin Bay. This clifftop loop path takes us to the lighthouse and back down into the village of Howth itself – very popular with the people of the city at weekends. We had three hours to kill so the minibus dropped us in Dublin to explore this fascinating city. Dublin is a very walkable, compact place where we joined the city’s office workers in St Stephen’s Green basking in the early summer sunshine. The rest of us explored Trinity College and indulged in some retail therapy while others, including myself, head to the Temple Bar district to sample a Guinness (it has to be done) and listen to some live music. We found a small bar and it’s true what they say – the Guinness really does taste nicer here. Would I do this type of cruise again? Undoubtedly, yes. The chance to wake up in a new destination with gorgeous landscapes to be explored is an enticing proposition – and one not to be missed.